After announcing the career-spanning A Head Full of Dreams documentary last week, Coldplay have now revealed that a new live album and concert film will also see release as part of the package. The 24-track Live in Buenos Aires will arrive on December 7 through Warner, alongside the band's Live in São Paulo concert film and aforementioned doc. 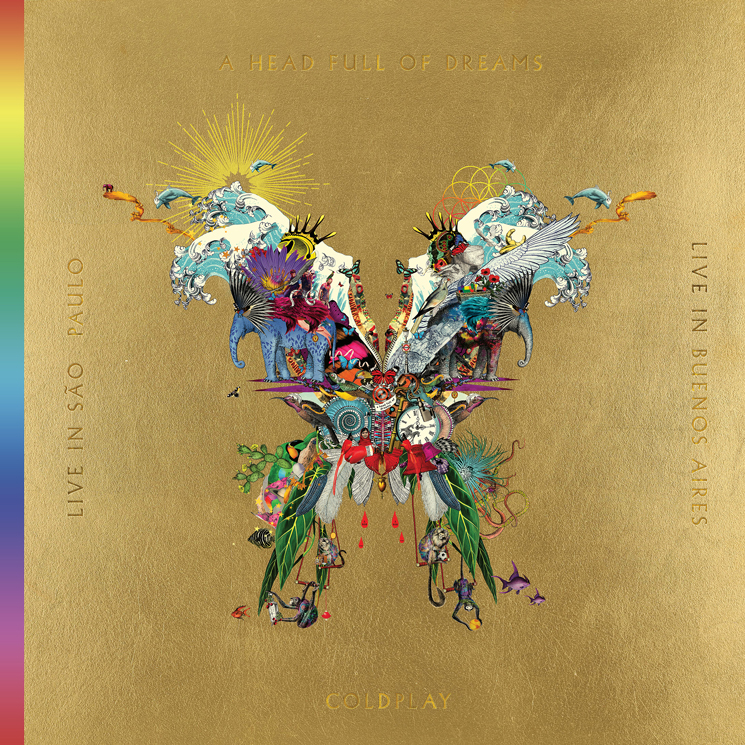 Live in Buenos Aires was recorded on November 15, 2017, which marked the final night of Coldplay's "A Head Full of Dreams Tour." The album also marks the first time a full Coldplay concert has been released in its entirety. The band's Live in São Paulo was shot a week earlier on November 9, 2017. You can watch the band's performance of "Viva La Vida" from the set in the player below. The band's "Butterfly package" of all three efforts is available to pre-order in a variety of formats here.